It’s the drama and emotion that first grabs your attention. Then they delight you by adding in a lift or throw for good measure. The crowd erupts with appreciation as the show stoppers wow and amaze them. It’s a wonderful affair, as enjoyable for the dancers as for the audience. The Australian National Swing Dancing Championships were a source of joy and entertainment for all involved Saturday night. Ever since watching a swing dance demonstration at a jazz festival five or six years ago I’ve always wanted to learn or at least join the audience again. After not having the opportunity to attend for so long I wasn’t going to miss out this time. It meant an eight-hour drive roundtrip but it was well worth the effort. What does swing dancing have to do with blogging? By now you are definitely starting to question why you are reading about swing dancing on a blog about online marketing and particularly blogging for business growth. Fair call. Promise I didn’t forget my ‘normal’ pills this morning. So let’s dig in and compare. 1. Make an amazing first impression. Whether you’re blogging or dancing you only have one opportunity to make an amazing first impression. Make it count. Your audience’s first impression will significantly influence the likelihood of them returning in the future or not. We are all time poor and therefore not particular forgiving. If you don’t live up to expectations the first round, don’t dream there’s another round about to start. We aren’t in the boxing ring here. There are plenty of other performers and bloggers vying for attention of the audience just like you. 2. Allow your true personality shine through to stand out from the crowd. Do you know who the best dancers to watch are? It’s not those most proficient and perfected in their efforts. The judges may award them the highest score for their technical ability but the audience will always favour the good dancers with fantastic personality. Dancers who let their passion and personality shine through will win the audience over hands down, time and time again. If you’ve ever watched Strictly Ballroom you’ll know it’s Scott who likes to dance his own steps and ‘ugly duckling’ Fran that win the hearts of the audience. The same goes for blogging. If you follow all the so-called ‘rules’ of blogging right to the last letter you will attain a certain level of success but if you want your readers to really connect with your writing, bend the rules and inject a little ‘you’ into it. 3. Maintain high standards to build loyalty. Just like the dancers at the championships bloggers must maintain high standards at all time. Each dance routine will have basic steps that are then added to or altered based on the performance required. These foundation steps make the particular dances recognisable and help the audience know what to expect. Getting these steps right is crucial to the standard of performance. Consistency is also helpful for encouraging positive reader habits. For example, if you publish on a regular schedule your readers know when to expect a new post and are more likely to return. 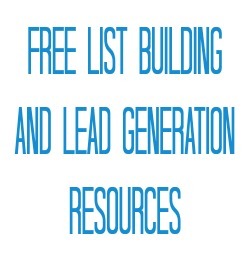 If you keep pumping out the same structure or repeating information however people soon lose interest. Sure, revisiting the same content over and over may help your search rankings but it certainly won’t keep readers on your page. Variety is the spice of life and critical to keeping your audience engaged. You must maintain or exceed your previous standard but mix up your approach. You could try different post formats or looking at ideas from a range of perspectives. The key is to keep your blog fresh. 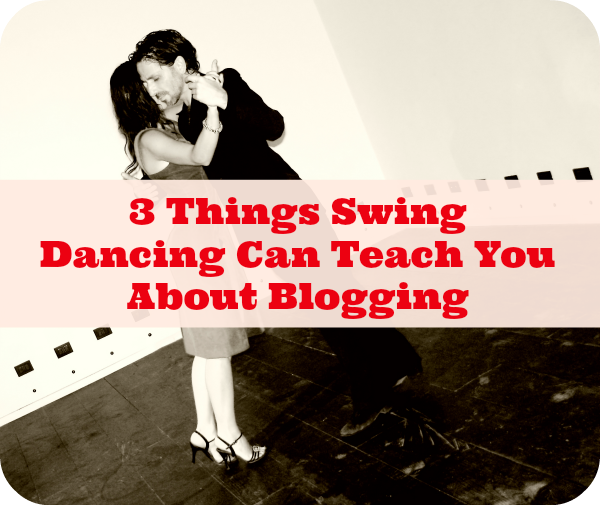 Do you agree commonalities exist between blogging and swing dancing? 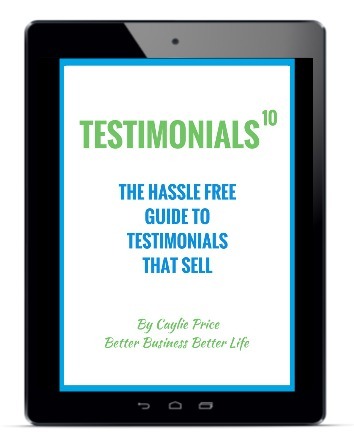 How do you manage first impressions, standards and inject a little ‘you’? Love it Mindy! I’ve spent plenty of time on my tuckus but I refuse to stay down. Have learned and progress constantly as a result. It’s not we you get, it’s what you do with it. Dancers all start with the same basic steps and then interpret or alter as desired. What a clever connection. Yes, I see just how the two relate. Loved your descriptions of swing-dancing. I wish I could participate. Maybe I should stick to blogging. Thanks Francene! Why not do both? Great post, i love how you made the connection between the two. Definitely great tips i’ll keep in mind. Thanks for sharing!! Happy to share Aimelie! Would you add further connections? 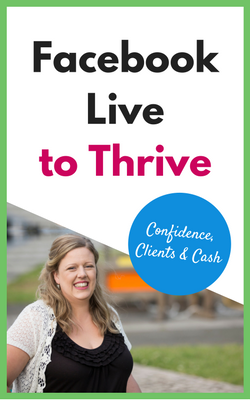 I totally loved this approach, there is so much we can learn about business form anything we look at! Sure can Yasmine! Sometimes looking outside the ‘norm’ gives us the best ideas. i love making connections between seemingly unconnected things. They’re always eyeopening. This was too. Fun post! I took swing dancing as my PE credit in college, and I’ve always wanted to try it again. That had to be a fun class Lacey! Hope you find a way to join in again! Go for it Sonja! I wish classes ran close to me. I was at the International Lindy Hop Championships this weekend in Washington DC and you are so on the money with this post! Love it Elyse! I can only imagine the championships were amazing! Fun connection and great way to see things from a fresh perspective. Way to make it memorable! I love the tips and how you connected the two. I’m more of a salsa/tango girl, but swing has such great energy! Fun read! Thanks Andrea! Glad you enjoyed it!